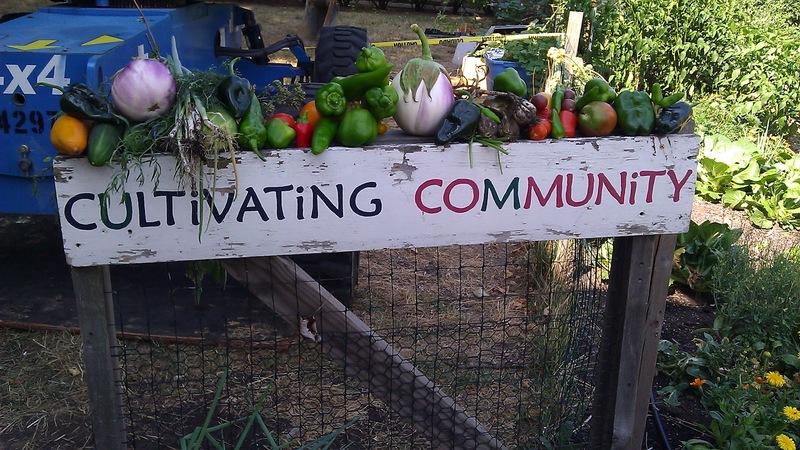 Cultivating Community: Garden Bites Dinner Party! Our Garden Bites end-of-summer celebration was a delicious success! Cultivating Community volunteers, friends, and other friendly food enthusiasts gathered at the Ginsberg Garden to sample some garden treats and enjoy some great live tunes! Check out the harvest that we turned into dishes for the party. We were excited about the bounty of Rosa Biana eggplants, zucchini, garlic, onions, sweet peppers, poblano peppers, fish peppers, tomatoes, cuccumbers, cabbage, kale, raspberries, and herbs that the Ginsberg Garden produced this year! Allyson and Marissa checking on bread dough. We baked all of the bread with organic Michigan flour from the Westwind Milling Company! Bread dough ready to rise. Kitchen party preparing for the garden party! The blueberry pie and eggplant relish were the stars of the show. We picked all of the blueberries at the nearby Dexter Blueberry Farm! Special thanks to the Ann Arbor Tortilla Factory and Mindo Chocolate for donating their local delicious goods! Thanks to all of the musicians for sharing their talents, the music sounded great echoing off our eggplants and other veggies! 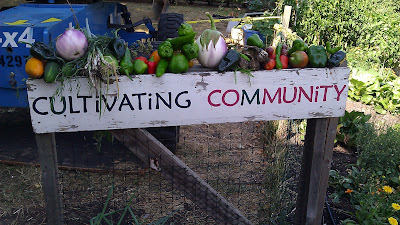 Thanks to everyone who came out to support Cultivating Community!